As a premier family dentist in Longmont, Colorado, the dentists and staff at Twin Peaks Family & Cosmetic Dentistry are committed to protecting the teeth of patients at all age levels. 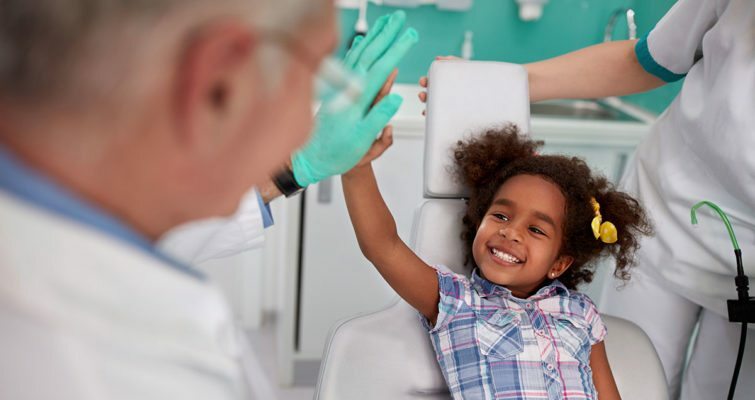 For our younger patients, dental sealants can provide a wonderful choice for parents who want to give their kids extra protection against tooth decay. Dental sealants are a thin, resin coating that is easily applied to teeth. Sealants work by preventing the damaging oral bacteria from affecting those parts of the mouth and teeth where cavities are most commonly found. Many times the sealants are put on the child’s back molars, which is a region of the mouth that children do not brush or floss very well. Sealants can allow children to have excellent oral health now and in the future, with minimal invasive treatments. Research has shown that dental sealant programs through schools can help successfully protect children’s permanent teeth that may be at risk for decay. Through these “sealant days” at schools, dentists and oral health providers usually place sealants on teeth during a school day, free of charge. Often these programs can be found in lower income neighborhoods where children may not have adequate access to regular dental care. According to a study from the Centers for Disease Control and Prevention and Kennesaw State University, there is a direct cost savings in preventing future cavities through this method, as it saves valuable time that parents may have to leave work to take their kids to the dentist. The study noticed that getting a cavity, and the associated fillings, were several times more expensive than the costs of applying dental sealants. The benefits are twofold as preventative sealant programs save time and money for kids, parents, and their communities, while also preventing children from having to suffer through painful decay or drilling out rotted teeth. At the end of their comprehensive review where they looked at all different types of dental sealant programs, the scientists determined that dental sealants are an outstanding public fund investment, and they endorsed a widespread implementation of such programs in most communities. Needless to say, if dental sealants make sense for a public-financed program, they can also be very useful for parents who can afford treatment through insurance or out of their own pockets. For younger children, we know that brushing daily and flossing often get overlooked and that kids get distracted after meals or before bed when they should be looking after their oral health. As any parent knows, making sure your child effectively brushes and flosses at all during the day can be a trial. Children also physically lack the proper dexterity to effectively brush or floss until they are older. This lack of experience can result in decay that can end up costing parents much more in dental visits, cavities, or more complex dental care in the future. It is wise for parents to take into consideration both the dental health of their children, and the financial benefit that dental sealants can afford. The dentists at Twin Peaks Family & Cosmetic Dentistry can apply dental sealants in just one appointment and the process is fast and effective. Sealants are very thin, but also very durable and will last a few years before any possible reapplication may be necessary. If you want to schedule an appointment for your child, or if you have any questions about dental sealants, please give us a call today. As your choice for a family dentist in Longmont Colorado, Twin Peaks Family & Cosmetic Dentistry firmly believes in the difference sealants can make for a child.